I’m very pleased to welcome to From Pemberley to Milton a fellow reader who has taken the great challenge of putting her ideas into paper and writing her own Pride and Prejudice story. Leigh Dreyer has been a follower of this blog for some time and I have discussed several books with her before she decided to become an author herself, she reminded me of how and why most authors used to start writing this genre, because of their love for Austen’s work and characters, and that makes her even more special because there is nothing better than a book that comes out of love. She has written a guest post to explain how her book came to life and to present herself to you. I hope you enjoy getting to know her better, and that you like the excerpt she has brough to From Pemberley to Milton. I will only add, welcome Leigh!!! My name is Leigh Dreyer and today I have been blessed to be invited to From Pemberley to Milton to write about my debut novel, The Best Laid Flight Plans. Let me introduce myself. I am happily married to a wonderful United States Air Force pilot and have two amazing children. We currently live in Las Vegas, although since getting married five years ago, this is our sixth base, so we do quite a bit of moving because of my husband’s flying. I met my husband when he, himself, was in pilot training at a base called Laughlin Air Force Base in Southwest Texas. While I am a pretty voracious reader, I have loved romances since I was a young teenager. I first found JAFF in 2012 when I was working in Washington DC and riding the metro to and from work every day. I lived across the street from a Barnes and Noble and on a whim picked up the booksDeath Comes to Pemberleyby P. D. James and Longbourn by Jo Baker and loved them. I immediately started looking for other JAFF titles–browsing the shelves of the bookstore and Amazon. Soon, I moved to Hawaii, had my son, and while up at night with went through between 7 and 10 books a week. I devoured every JAFF novel I could find. I love them and these days have to force myself to read something else! I also love the amazing online community of authors and fans that really make the genre such a wonderful place to be. About a year ago, my sister-in-law was looking for a book for her book club and I suggested One Thread Pulledby Diana J Oaks. I went to the book club meeting together with her and was able to meet Diana (who is fabulous, by the way). On the way home, I off-handedly mentioned to my sister-in-law that I had this idea for Pride and Prejudice, but set in pilot training and she encouraged me to write it, so I started and thus The Best Laid Flight Plans was born. My father is a Master Instructor Pilot and he was the one who actually introduced me to my husband while he was in pilot training at Laughlin Air Force Base. Additionally, my father in law is a pilot. It was incredible to work on this book and be able to interview men who have been through nearly every experience a pilot can have (aside from crashing, thank goodness). The knowledge of these men was invaluable as I was able to make the language and actions of the flight scenes authentic. In the original Austen or any P&P-based JAFF, my favorite moment is always when Darcy and Elizabeth finally get together. I love all the angst and build up before, but I adore when Darcy declares his love. There’s very few things in this world more beautiful than two people in love and my romantic heart goes pitter-patter. Those are the moments I curl up and can’t stop reading and the world around me falls away. Elizabeth had only ever had one dream. She wanted to fly. When she was eight, she wanted to bend her legs, jump, and take off swirling through the skies. 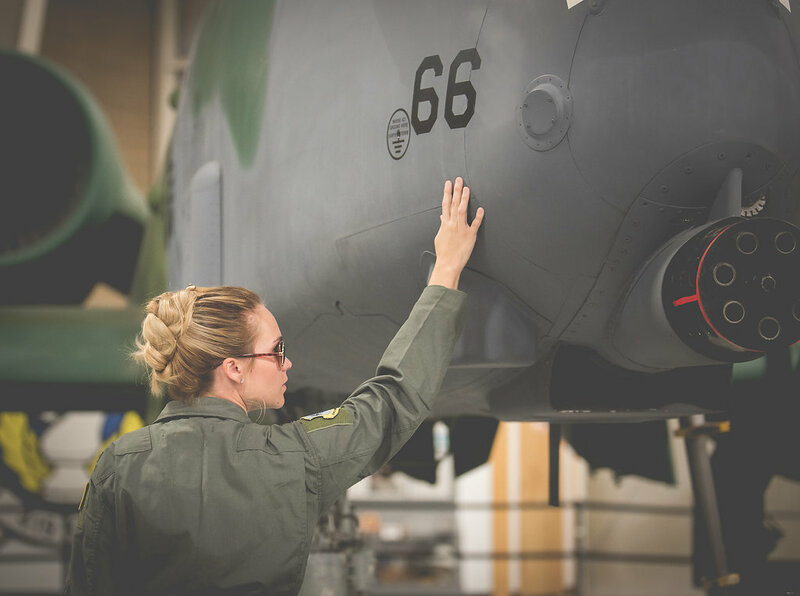 When she was twelve, she met a pilot during career day at school and decided to do everything she could to become one. She worked hard and blasted through her classes as fast as she could. And now, here she was, not quite twenty-one…and stagnant. Stuck as a casual lieutenant in a squadron that did not care whether she showed up to work or not. Elizabeth took another long look at the painting and sighed. She hated to wait. 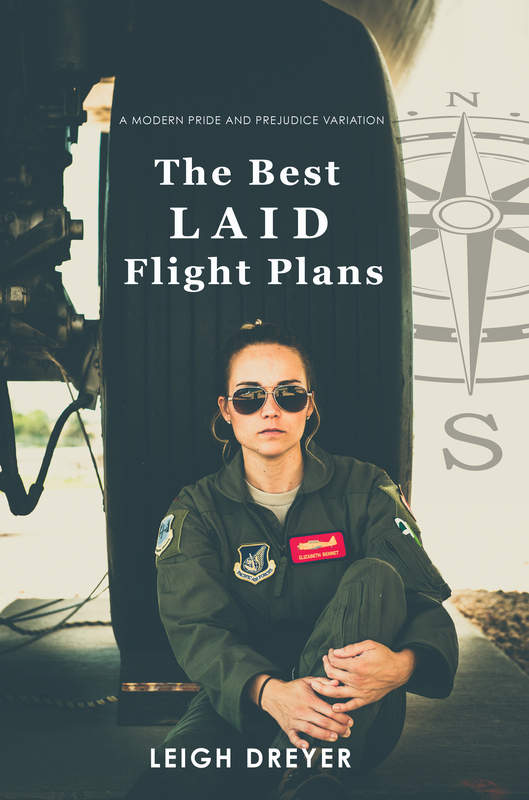 Leigh Dreyer is offering a copy of The Best Laid Flight Plans plus Darcy and Elizabeth squadron patches to her readers. The giveaway will be open for 4 more days, so don’t miss it! This book sounds really good and has a unique premise. Regarding the giveaway question, I haven’t read very many modern jaff stories but my favorite one is Boots & Backpacks. Thanks for the giveaway. This sounds like an amazing story. I can hardly wait to read it. Well done on such a worthy tribute to the USAF and the men and women who serve. Best wishes on the launch of this work and your future writing endeavors. It sounds like a great and intriguing premise. I prefer regency JAFF, but I’d love to read this one. My favorite non-Regency is Ginger Monette’s The Darcy Hope saga, and Modern JAFF are Green C.ard by Elizabeth Adams and A Searing Acquaintance by J.L Ashton. You have pulled me in and I can’t wait to read more!!! Congratulations on making your dream happen! I thought I recognized your name…all those blog comments! Noticed on the giveaway you have to name a modern JAFF that is a favourite…I have several but anything by Cat Gardiner…Villa Fortuna is one along with her Denial of Conscience series. Searing Acquaintance by J.L. Ashton is a favourite of mine too! Melanie Stanford’s Sway. Oh and my favorite modern retelling is Darcy Strikes Out but I don’t remember the author. I am reading this now and am at 31%. Having family now and in the past in the Air Force or Army Air Force (during WWII) and having lived in TX while my husband was stationed at Ft. Hood I can relate to this story somewhat. Thanks for sharing. Good luck with this first publication and in your career. I really felt for Elizabeth in this excerpt. Thanks for sharing it with us, Leigh. As to my favourite modern variation? As a series, it has to be Cat Gardiner’s Conscience books. As an individual title, though it’s difficult to choose, I’d have to go for The Muse by Jessica Evans. I love the idea of this book. My dad was in the RAF, originally training as a pilot but he was an engineer so was asked to retrain as a flight engineer and flew on Lancasters during the war. He was part of the Pathfinders squadron and I am so proud of what he did and so thankful he survived. He lived to the grand old age of 86. Thank you so much for sharing this excerpt and I look forward to reading it. I’m glad that you were inspired to write this book, because then it’s another JAFF book that I get to read! I liked the excerpt. I too enjoyed Boots and Backpacks; I was itching to head to the Appalachian Trail after reading it. Thank you for sharing a little about yourself, Leigh. It’s good that you join the fray of published JAFF authors. Good luck with your debut release and wish you success in your writing journey. My favourite Austenesque modern fiction is Pemberley by the Sea by Abigail Reynolds. You may also know the title as The Man Who Loved Pride & Prejudice. Thank you for your background information. This is a new premise for a P&P modern adaptation. It will be interesting to see how Elizabeth is a strong woman when faced with Darcy. Such a great excerpt Leigh! You’ve captured Elizabeth’s feeling of boredom and frustration perfectly. I’m gonna enter the giveaway! Hopefully I’ll win, if not I’ll definitely read the book soon anyway! Great excerpt! Congrats on your debut novel!